Investors believe in the value of textual healing. Talkspace -- the all-you-can-text therapy startup -- just raised a hefty new round of $9.5 million in financing. Spark Capital and SoftBank led the latest round, which brings the startup's total funding to $13 million. "There's a massive need for therapy on-demand," said Alex Finkelstein, general partner at Spark Capital. "You could be in the middle of an eating disorder episode, or a marriage dispute, and you can literally be communicating with your therapist in minutes." Roughly 46 million Americans had a mental illness in 2011, but only 39% sought treatment. Barriers for seeking treatment include the cost, stigma and time commitment. Roni Frank, co-founder of Talkspace, says many are also intimidated by the face-to-face nature of traditional therapy. "It's always easier to text. It feels so normal," said Frank, who said the service is like WhatsApp with a therapist. "There is a healthy distance when you are texting." She and Oren Frank, her co-founder and husband, launched Talkspace in 2012. 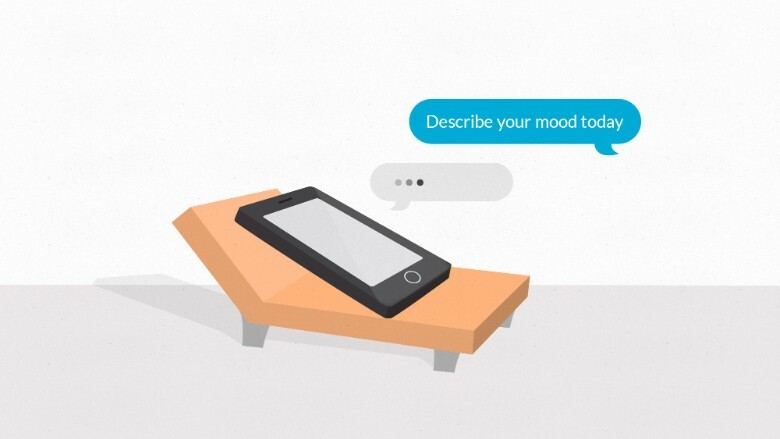 In November, I tried out Talkspace to find out if text therapy could actually work. The convenience fit into my crazy schedule -- and I was surprised by how simple questions from my therapist gave me much-needed perspective. Talkspace is also exploring ways to improve its services. This week, it announced a partnership with cognitive computing technology IBM Watson. Talkspace will work with Watson's Personality Insights API as an "assistant therapist" to better understand the mental state of Talkspace users before setting them up with a permanent therapist. Using verbal cues, Talkspace can better pair its clients with therapists (like those specializing in anxiety, PTSD or depression). Frank said they plan to use the funding to grow the business, which means adding more full-time employees to the team of 20. It also means growing its user base -- both domestically and abroad. Frank said they hope to infiltrate markets like China, which often have a stigma around therapy. To do so, they're eying local partnerships with investors, nonprofits and other startups. They also hope to partner with universities in the U.S. to make text therapy an affordable option for students suffering from depression and substance abuse. "We have so many college students reaching out," said Frank. "The mission is to bring therapy to a billion people around the world."